Did you know that regular screening can allow Dr. Wear to identify and treat oral cancers even before you develop any symptoms? In an oral cancer screening, Dr. Wear will use her expert training and technology to check your mouth for any abnormal or potentially pre-cancerous cells, as well as any actual cancerous growths. Once identified, Dr. Wear may recommend a biopsy to be certain whether cancer is present. As with any form of cancer, early detection and treatment plays an essential role in ensuring that oral cancer can be stopped before it fully takes hold. 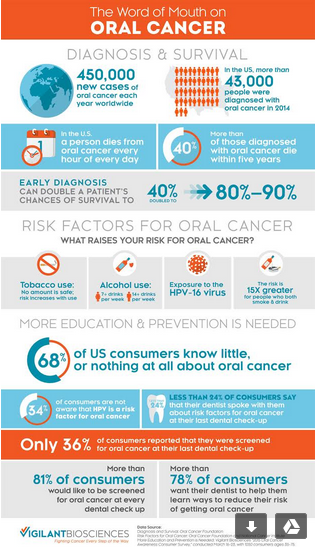 For more information or to schedule an oral cancer screening, please call Premiere Dental Arts today.